Veterans Day and Transgender Awareness Week fall at the same time each year. Despite recent setbacks and debate, over 15,000 transgender people actively serve in the United States military today. We've curated a list of documentaries highlighting extraordinary soldiers who defend the freedoms of all Americans while waging a war at home against forces of fear and bigotry. We hope you enjoy these remarkable stories. Transgender Americans were banned from serving in the United States military until recently. Silverman and Dawson's riveting doc takes us into the lives of four transgender troops as they struggle for the right to serve their country. After making a splash on the festival circuit, TransMilitary reinvigorated the fight to ensure the rights of the thousands of transgender military personnel. The film skillfully humanizes a hot-button issue in politics to remind us of the people at the core of any major policy debate. Prior to the feature TransMilitary, Fiona Dawson also directed Transgender, at War and in Love for New York Times Op-Docs. 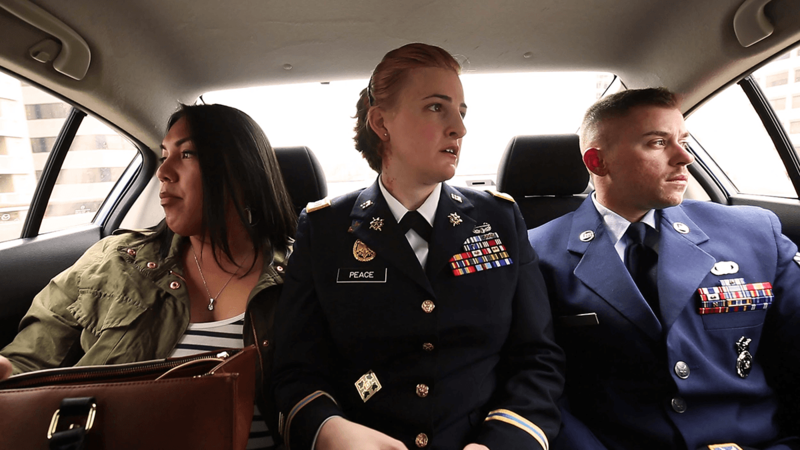 The short documentary follows the challenges faced by a transgender military couple in the wake of President Trump's ban on transgender peoples from the military. Risking discharge for sharing their message, the couple bravely stands up to outdated practices to ensure they and other transgender military personnel receive the same rights they defend. From PBS' Frontline, Growing up Trans examines the lives of young adults and children transitioning in the modern era. Navasky and O'Connor take the viewer into the homes and families of transgender kids in an eye-opening reveal of the struggles many transitioning children face. Growing up Trans reminds viewers of the strength and fortitude transgender children develop at an early age to overcome discrimination. In Lady Valor, Kristin Beck shares her story as a US Navy SEAL who hid her true identity in order to keep her high position and rank. In 2013, almost two years after her military retirement, Kristin came out to her family and friends. Weaving together interviews and archival footage from Kristin's military service, Orabona and Herzog take viewers on Kristin's journey to reclaim the American values she fought for and bravely head into a new battlefield against bigotry in her own country. Produced by the Oregon Department of Veteran's Affairs, Breaking the Silence gives an oral history of LGBTQ veterans and service members in Oregon. The resulting film is both harrowing and triumphant as Nathaniel Boehme, producer and LGBTQ Veterans Coordinator for the Oregon Department of Veterans Affairs, interviews LGBTQ military personnel who had to hide their sexual orientation before their community was openly, and legally, permitted to serve.